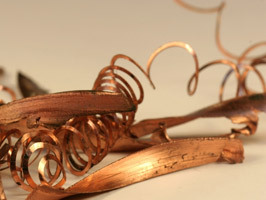 Alcatel-Lucent breathes new life into copper wiring with the G.Fast. Just as copper cables were on the brink of fading into oblivion, Alcatel-Lucent‘s new G.Fast technology is swooping in to salvage the dying medium. First and foremost, for years now it’s been no secret that copper wiring was on the way out. Fiber optics technology has become the new industry standard, providing the kind of horse-power necessary for LTE speeds. Comparatively, the effectiveness of copper cabling is no match for the raw power capable of fiber optics. Naturally, carriers have all but dismissed copper cabling, opting for fiber optic upgrades instead. Point blank, the future seemed bleak for the once revolutionary copper engineering. Not anymore thanks to a new development courtesy of Alcatel-Lucent, one of the world’s largest telecom manufacturers. It’s called G.fast and it can reportedly deliver broadband speeds in excess of 1 Gbps over existing copper networks. G.fast could help make copper networks relevant again in the telecom community. Most notably it’s spawning a copper revival, thereby changing everything. For people currently utilizing copper technology, this information is huge. According to Telecoms.com, Alcatel-Lucent has already completed G.fast trials on a fixed-line subsidiary A1 with Telekom Austria. The results are shocking; G.fast tested over a ‘single, good quality cable’ and achieved a maximum speed of 1.1 Gbps over 70 meters and 800 Mbps over 100 meters. If G.fast continues to produce numbers of this caliber, it’s sure to give the so-called ‘impregnable’ fiber market a run for its money.